Sri Narayani is the supreme Mother of the Universe that brings light, love and peace to restore goodness and righteousness to our world. Sri Narayani is the embodiment of the three Hindu (tri-Devi) Shakti Goddesses: Sri Mahalakshmi (Goddess of wealth, abundance, love and beauty), Sri Saraswati (Goddess of wisdom, music, healing and the arts), and Sri Durga (Goddess of strength and courage). These tri-Devi comprise the sacred feminine creative forces, and all are contained within the Goddess Sri Narayani. 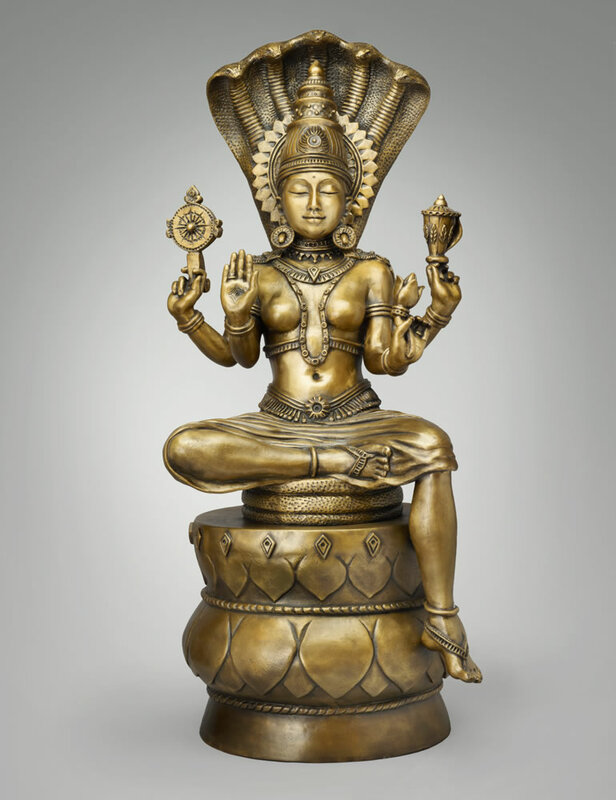 The Divine Mother Goddess holds a conch in her back left hand (representing the sound of the universe), a chakra wheel in her back right hand (representing all time and space), a lotus flower in her front left hand (spiritual enlightenment), and her front right hand holds the hand gesture (mudra) of showering blessings. 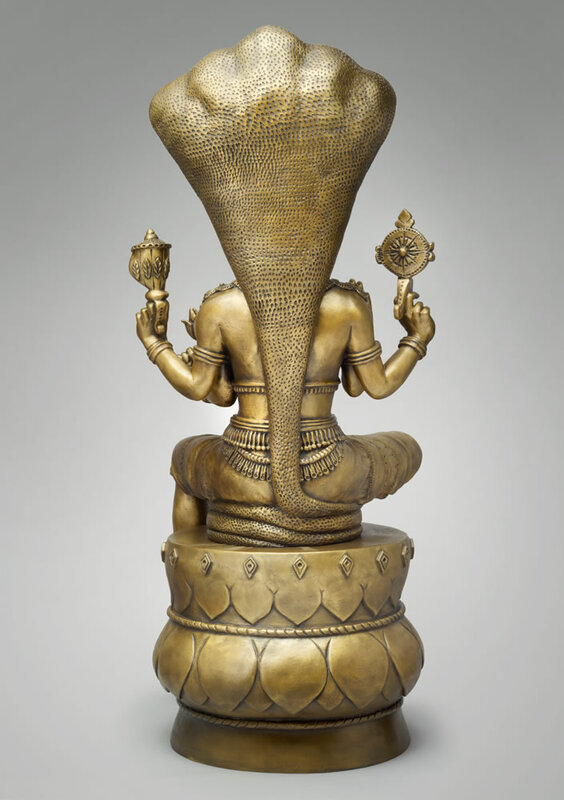 The kundalini serpent (representing the life force) is coiled beneath her, and rises up her spine in full flower denoting the awakened universal wisdom and intelligence, forming a symbolic energetic protection of a five-headed serpent above her crown.